Dr. Clay Kosinko has been in practice since 2008 when he saw the need for a natural healthcare center in Pickering. With our many solutions, you can not only relieve your pain but be proactive and make sure that your problem doesn’t return. Our entire team is dedicated to assisting you in putting your health first! 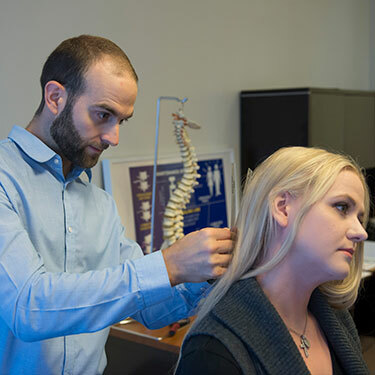 Our specialized protocols have been developed over years of experience. Each practitioner at our office is specifically trained in delivering the practice, which ensures that we get results that others can’t. It all begins with an examination involving more than 66 tests, making it more detailed than anything you’ve likely experienced before. After we evaluate you, we can create a precise plan to relieve your pain. 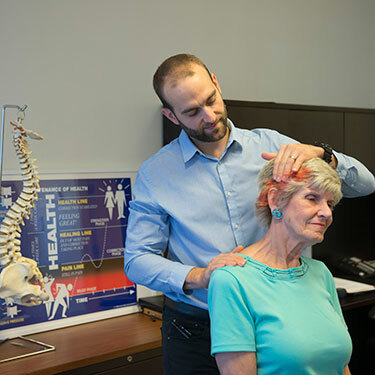 Our patients seek our help with concerns such as neck and back pain, shoulder pain, knee pain, scoliosis, migraines and headaches, sciatica, hip pain and more. If you’ve gone to other doctors without getting the help and answers you were hoping for, we may be able to offer you what others couldn’t. With specific protocols for each condition, we strive to succeed where others have failed, and love seeing people regain their lives. Even if you have been in debilitating or excruciating pain for years, we want you to know that there may still be an option for you. One of our patients had a laundry list of symptoms and had been to every specialist imaginable. The biggest complaint was that she was unable to produce saliva. After the first visit with Dr. Clay, she called her to see how she was feeling. For the first time in years, she was producing saliva and was ecstatic. Another case involved a 12-year-old boy who suffered from daily migraines. Our treatment left him free from pain and even relieved his secondary complaint of stomach cramping. Contact us today to learn more about what we may be able to do for you! Your insurance coverage can be used at our clinic.